Texas Institute of Digestive Health (Houston) - Book Appointment Online! Dr. Victor W. Yang MD. Victor Yang is a compassionate and motivated gastroenterologist serving patients in Houston, TX. Originally from Taiwan, Dr. Yang speaks Mandarin as well as English and Spanish. He is certified in gastroenterology by the American Board of Internal Medicine, and he is a member of the American College of Gastroenterology, the Texas Medical Association, and the Texas Society for Gastroenterology and Endoscopy. 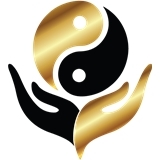 Dr. Yang has been in practice for over 30 years and is the founder of Texas Institute of Digestive Health. He treats a range of digestive conditions, such as Crohn’s disease, biliary tract problems, acid reflux disease, irritable bowel syndrome, colon cancer, and many others.